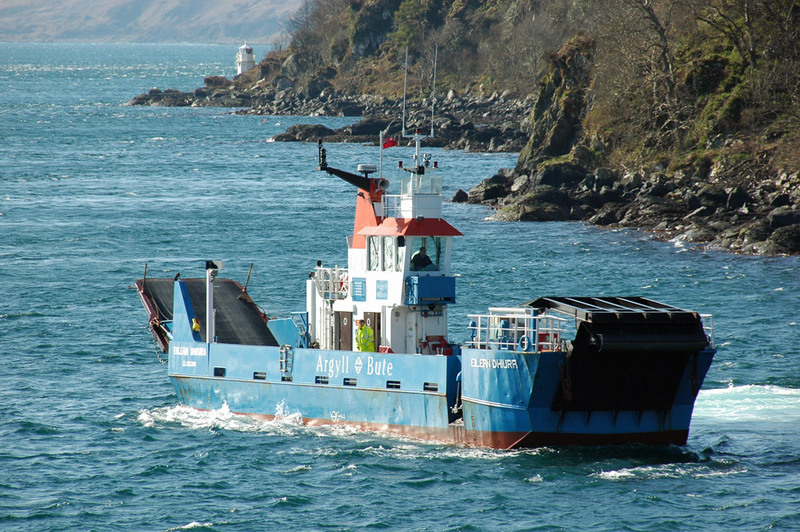 A view of the Jura ferry Mv Eilean Dhiura on the Port Askaig side of the Sound of Islay. In the background the small lighthouse at Carraig Mhòr. This entry was posted in Landscape, Lighthouses, Repost, Sunny Weather and tagged Carraig Mhor, Islay, MV Eilean Dhiura, Port Askaig, Sound of Islay by Armin Grewe. Bookmark the permalink. How I get to work on Tuesdays. Thanks ferry boys.